This week Richard Brooks from Design B Creative, a local web design agency, chatted to me about his experiences with responsive websites and Google. Here is a summary of his findings and some useful pointers for businesses who are planning a site update. As more and more internet users turn to mobile and tablet devices to browse the web, businesses need to create webpages that are mobile friendly and respond to multiple mobile devices. There are two main strategies which have been used , which are creating a separate mobile site, either by creating dedicated mobile themes or redirecting to another site, or using responsive pages, which can react to mobile devices and alter their appearance in order to allow tablet and phone users to get the most out of their device. There has been a great deal of debate about the differences between the two methods of attracting mobile customers, but it now seems clear that there is a clear winner between the two. Mobile-only sites were the first way in which website owners attempted to address the needs of mobile users. These are constructed completely separately from the main business website, allowing the business to create dedicated mobile-friendly pages without causing any impact to the main site. Sometimes, there was a completely different web address used, with an m subdomain added. The downside to these pages is that you will need to change twice as much text and imagery whenever you alter your SEO or branding. Google also counts the two URLs as though they were different sites, meaning that your SEO might be wasted. Linking through from other sites is also complicated by the availability of the pages, as organic searches will generally redirect to mobile websites automatically, causing slowed response rates. While they were popular at first, most websites are now moving away from separate mobile pages. The more modern alternative to appealing to mobile customers is responsive sites. These are more design-based, and use a single website which has in-built adaptability. The page will resize text and other content in order to meet the dimensions of the device being used. This is calculated on a variety of different factors, such as browser and device type, screen orientation and size. Over the last year we have started to focus on responsive websites for our customers – it makes busienss sense for both web designers and customers alike. Behind the webpage, responsive design can be constructed according to the requirements of the website owner in order to provide a seamless experience, no matter what type of device is being used. So you may have definitions of layouts for screen sizes of 320 by 480 pixels, or for sizes above the 320 by 480 pixels. The designs for each size will be slightly different, in order to arrange the content and text to improve the user experience. 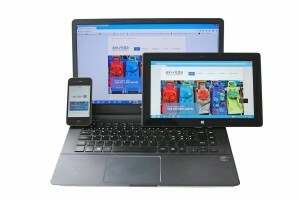 More website owners are choosing to use responsive design in their websites for a number of reasons. Firstly, it is much easier to maintain than a stand-alone website, and the one site can be used on a range of devices, so you don’t have to create sites for both mobiles and tablets. Secondly, it is recommended by Google. Since April 2015, Google have also been listing responsive websites above stand-alone websites. This alone is reason enough for most website owners to turn to responsive design. Now is a great time to update your website design – don’t get left behind! Thanks for sharing these insights Richard. This news really does seem to put the nail in the virtual coffin the dot m mobile domains and other methods for displaying content to mobile users. I guess the next big question is, how are apps changing the mobile landscape? Maybe one for next month?